Join us for a fun-filled fundraiser featuring Ottawa’s finest Health and Wellness practitioners. 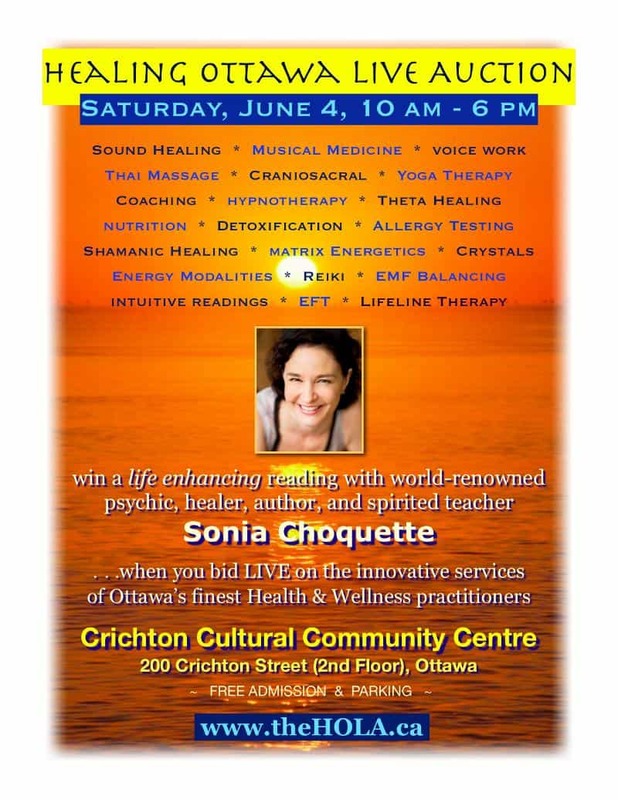 Attend any time (throughout the day) and enter a draw to win a free (1/2 hr) reading with Sonia Choquette! The official HOLA Website will be online as of Early May.